Leiden is a bustling, friendly medium-sized city, an urban community full of life with an outward-looking, international character, particularly with its famous university, more than 435 years old. Leiden and its suburbs have a population of 332,000, making it one of the major urban regions in the Netherlands. Leiden is an attractive city with a beautiful, large historic centre. 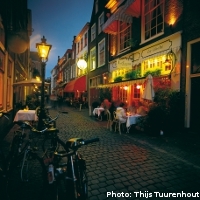 Leiden’s charms are enhanced by the amazing range of temptations to be found in the surrounding region. The city is very close to the North Sea coast and to beautiful national parks in the dune landscape. Its suburbs to the west are attractive seaside resorts with international style. To the north and east, the city borders on several lakes, with ample sailing facilities. All of these are within easy cycling distance of Leiden. Leiden University is one of Europe’s top universities, it boasts twelve Nobel Prize winners, it is a member of the League of European Research Universities and positioned highly in international academic rankings. The city centre of Leiden is just twelve kilometres east of the North Sea coast, and is located close to Amsterdam, The Hague, Rotterdam and Utrecht. Working and living in Leiden also means ease of mobility based on a well-developed infrastructure: Leiden has excellent connections by rail, air and road. It is just 20 minutes by direct intercity train to Schiphol, Amsterdam’s International Airport. Other intercity trains connect Leiden directly with Amsterdam (35 min. ), The Hague (15 min. ), Rotterdam (30 min.) and Utrecht (35 min. ), giving Leiden a fast connection to the European rail network, including the high speed trains to Brussels, Paris and London. Similar convenient connections are available for transport by car. Leiden is just a few minutes from the A4, one of the Netherlands most important motorways, and the A44. The history of Leiden dates back to Roman times. Although the city of Leiden itself is not of Roman origin, in around 50 A.D. the Romans built a fortress called Matilo in what is now the Roomburg city district. This was one of the ‘castella’ along the Old Rhine, built to protect the northern border of the Roman Empire. Matilo existed until about 275. Since the 16th century, significant archaeological finds have been made, including Roman artefacts, many of which are on display in the National Museum of Antiquities located in the city centre. Leiden started its development in around 860 as an embankment (‘dike’) village at the foot of a castle located strategically at the confluence of the Old Rhine and the New Rhine. In around 1100, Leiden became the court residence of the Counts of Holland. Between the 13th and 15th centuries, the city prospered, developing into one of the largest cities in Holland by its flourishing textile industry. In the 16th century, the cultural role of Leiden increased in importance. Leiden became an international centre of painting art (Lucas van Leyden, Rembrandt, Van Goyen, van Steen). With the establishment of the University in 1575, many eminent scientists were soon attracted to the city. Consequently, Leiden also became a centre of book printing and publishing (Elsevier, Plantijn). In order to escape from the Inquisition, Galileo Galilei published one of his most important works, the Discorsi, in Leiden (1637). In the 17th century, the Dutch Golden Age, arts, science and industry developed further. 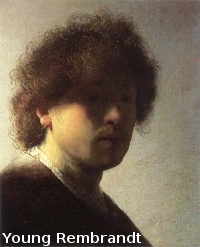 Rembrandt was born in 1606 in Leiden. This was the period when first important scientific and technological discoveries took place. The city continued to grow and in around 1670 Leiden, with some 70,000 inhabitants, was the largest city in Holland after Amsterdam. In the 18th century, the textile industry declined and Leiden rapidly became impoverished. At the end of the 19th and the beginning of the 20th century, the city recovered with the metal and printing industries. At the same time, Leiden University experienced the ‘Second Golden Age’, winning a series of Nobel prizes, particularly in physics and medicine. Following a deterioration of the socio-economic position in the 1950’s and 60’s, Leiden rapidly recovered. The city received major national funding to restore its historic city centre; new residential areas began to be built and the city witnessed the prosperous growth of the Bio Science Park as a result of the many application-oriented research activities generated by its University. Today, Leiden with its suburbs is a sought-after residential area with an agreeable socio-economic and cultural climate. Leiden has retained all that its past has to offer: a picturesque, historic city centre in which the prosperity in past centuries is still visible in the noble 17th century mansions along the historic canals where many famous scholars lived and worked. Leiden also has special ties with the United States: in 1620 the Pilgrim Fathers left for America from Leiden. 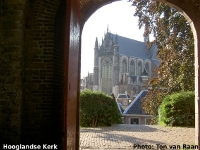 Discover Leiden: explore the historic inner courtyards (almshouses), take a walk past the Renaissance City Hall, a beautiful example of 16th-century civic grandeur, visit the 14th-century Count's House (Gravensteen), climb the 12th-century fortress (Burcht) with its beautiful panoramic views. Stroll through the narrow medieval cobblestone streets, narrow alleys and eerie graveyards, and enjoy the intimate environment of the many galleries, boutiques, antique bookshops, restaurants and pubs, particularly near the old University and the oldest Gothic church, the Pieterskerk, built in 1121. The courtyard behind the City Hall is home to many bars and restaurants, and on sunny days the pavement cafes are thronged with people. Night-time entertainment is concentrated mainly around the Beestenmarkt. Twelve Nobel laureates have been affiliated with Leiden University as faculty members or students, or because they have obtained their PhD here. Einstein, for instance, held a special Chair in Leiden, co-operating with De Sitter on the Expanding Universe. Leiden's excellent museums are well worth a visit. Several of them are of world class and are indicated with stars in the international Michelin tourist guide. Botanical Gardens: one of the oldest botanical gardens in the world, founded in 1590, birthplace of the Dutch tulip, unique Asian collection. Museum Boerhaave: science museum with medical and scientific instruments, including the first microscope by Anthonie van Leeuwenhoek . Museum De Lakenhal: art museum history of Leiden, style rooms, Leiden painters, including Rembrandt and Van Goyen. Museum of Ethnology: cultures of Asia, Africa and South America. Naturalis, the National Museum of Natural History and Biodiversity: among the top 5 in the world, impressive modern building. National Museum of Antiquities: internationally renowned collection of Roman, Greek and Egyptian art, jewellery. Sieboldhuis: old and modern Japanese art, opened in May 2000 by the Queen of the Netherlands and the Emperor of Japan. Museum De Valk: production of flour, housed in a traditional mill. Corpus: journey through the human body (located in Oegstgeest, a suburb of Leiden). To complement its centuries-old cultural tradition, Leiden is currently at the forefront of the most modern scientific, medical and high-tech developments. The Leiden Bio Science Park is one of the largest in Europe. The university covers virtually all possible fields of science. Leiden has a high international reputation in both the natural and medical sciences, as well as in the humanities. More than 13,000 researchers and support staff work in all conceivable fields of knowledge, ranging from the study of the early universe to biotechnology, from Asian and African cultures and languages to social psychology, and from superconductivity to immune response and organ transplantation in the large University Hospital (LUMC), one of Europe’s major medical institutions. In the Leiden urban region, ESTEC is Europe's largest space centre, collaborating intensively with the university's astronomy institute and spacecraft industry based in the Leiden Science Park. Leiden is a major, knowledge-intensive centre, with excellent opportunities for interaction between regional development, international research, innovation and technology.